Meet Steve, a new part of the Northern Lights. Late at night on evenings when aurora borealis is lighting up the night skies over Alberta, a blurry purple-pink streak sometimes runs across the sky from east to west. 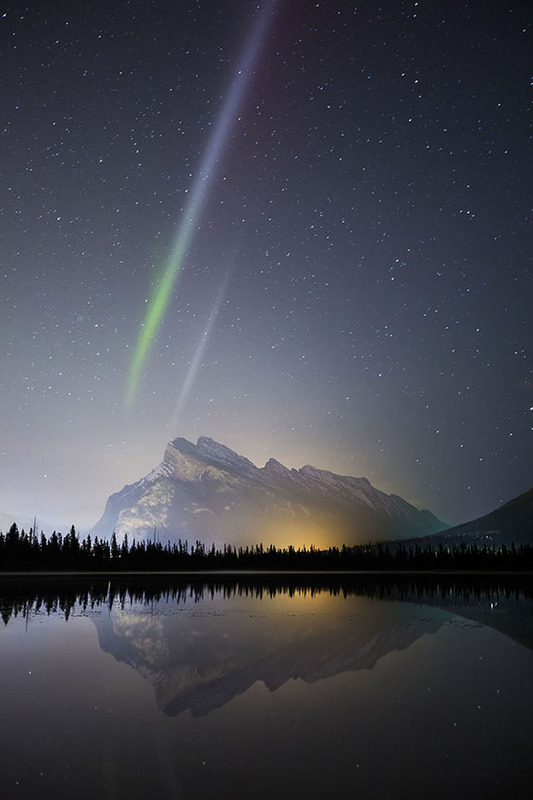 To Alberta’s passionate crew of aurora watchers – a dedicated group of amateur skygazers, photographers and adventurers – it looked a bit like the northern lights, but not quite. Nobody knew what it was, so they came up with a name. Inspired by a scene from the animated film Over the Hedge, they called it Steve. Yep, Steve. Now, Steve is a bonafide scientific phenomenon after a group of scientists, working with those Albertans, identified the streak of light as something different than aurora, something related to the Earth’s magnetic field that one scientist said “may be an extraordinary puzzle piece.” The scientists even accommodated that nickname into a sciency acronym describing the phenomenon: Strong Thermal Emission Velocity Enhancement (STEVE). News of the scientific finding was published in the journal Science Advances, and the world took notice. Publications from all over the world, including National Geographic, NASA and Wired wrote about how a group of amateurs in Alberta had shaken up the word of science. It was a proud moment for those Albertans, who had already done their part to draw attention to the magnificent night skies in Alberta thanks to the stunning photography they regularly share on Instagram, Twitter and Facebook. One of them, Paul Zizka, Insta-famous for marrying the grandeur of Banff National Park with the grandeur of the Milky Way, is even the subject of a new documentary film. While the scientists go about their work deepening their understanding of Steve, they may again call on citizen scientists in Alberta, and around the world, to help better triangulate Steve and measure its altitude. Alberta’s aurora chasers, meanwhile, are already back doing their thing, capturing the beauty of nature and inspiring people from all over the world to visit see Alberta’s magical dark skies. This article was originally published by Travel Alberta.